Every year, winter tends to leave its mark on homes both inside and out – whether it’s due to holiday foot traffic or harsh weather. With spring right around the corner, now is a great time to take on home improvement projects but sometimes those can be too much to tackle – even for an experienced “DIY-er!” Enter one of HGTV’s most popular couples – Erin and Ben Napier! 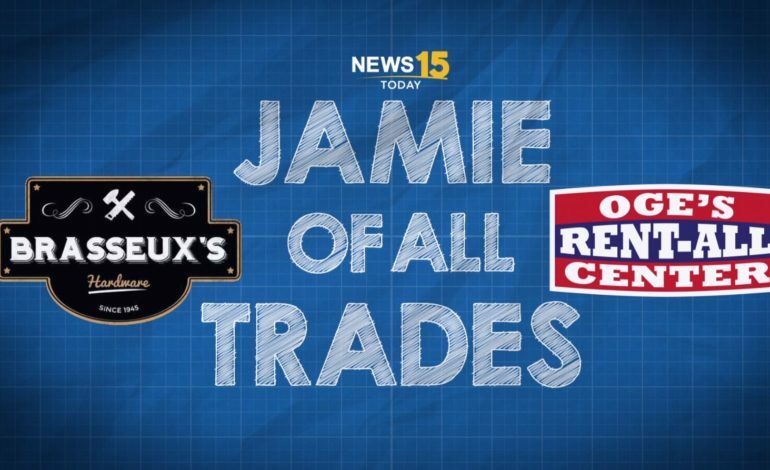 They joined Jamie live from New York this morning to help us bring some new life into our homes. Erin and Ben Napier, stars of HGTV’s Home Town, live and restore homes in a small town in Mississippi. Erin, an artist who started her career in corporate graphic design, and Ben, a woodworker with a degree in history, embrace a passion for renovating historic homes. During the series, the home-buying families benefit from Erin’s imaginative hand sketches and Ben’s custom handiwork showcasing local reclaimed materials. The couple, who as newlyweds bought and restored a 1925 Craftsman-style cottage, are involved in a local organization that strives to improve and grow the historic downtown district in which they reside. Ben has served as president of the group, and Erin uses her graphic design skills to create nostalgic branding and marketing to inspire the city’s rebirth. For homeowners looking to revamp their home ahead of warmer weather, it may be easier to enlist help from a professional instead of tackling projects themselves. So, whether it’s replacing an outdated HVAC unit, changing out the windows or upgrading kitchen and bathrooms, renovators don’t have to do it alone and shouldn’t be ashamed to ask for help. HGTV’s Erin and Ben Napier have a passion for renovation and restoring older homes. They’ve seen it all while bringing homes back to life and know who to call for projects that are just too big to tackle without professional helping hands.